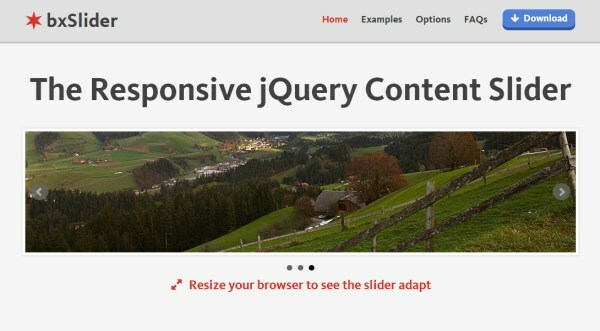 If you are searching for powerful, HTML5 Responsive jQuery Slider, this article is for you. 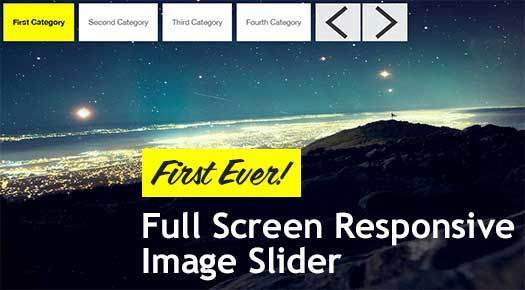 See this list of 15 best HTML5 Responsive jQuery Sliders that allow you to create responsive sliders, and some are optimized for mobile users as well. 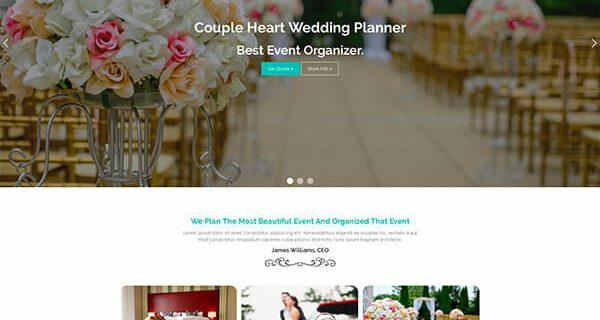 HTML5 Responsive jQuery sliders that you can use to showcase the featured contents and other key information of the website that you are working on. 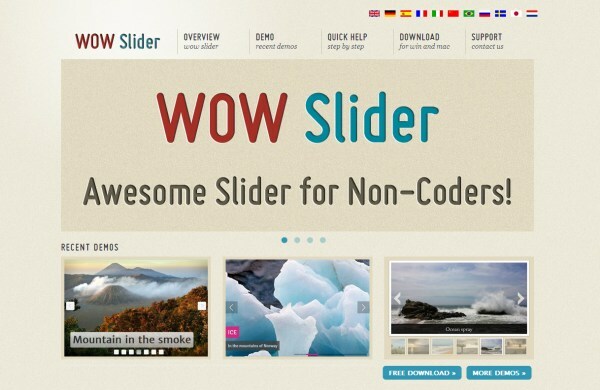 Wow Slider is an awesome slider for non-coders. 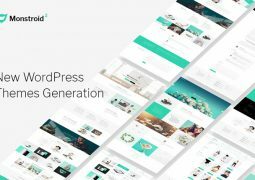 It is a responsive slider with plenty of beautiful visual effects, and what makes it unique is the point-and-click wizard that makes it possible to create sliders with no coding. 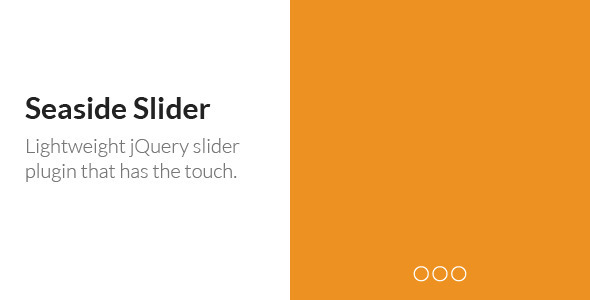 Nivo is possibly the most popular jQuery slider plugin. 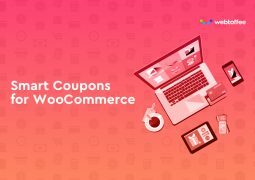 It is free to download and use (WordPress plugin is not free, costing $19 for a single site license). Nivo comes with 16 different transition effects, it’s responsive, and it’s easy to work with. 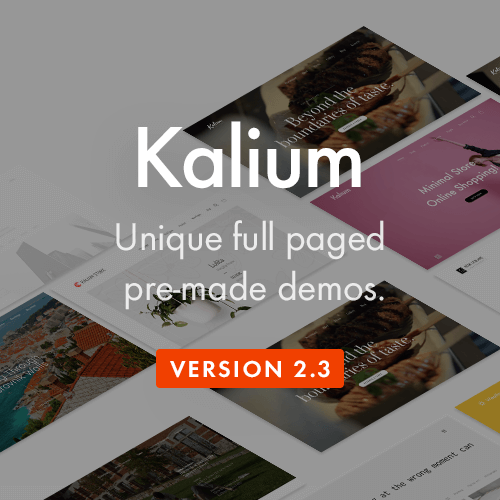 Fully responsive dockmenu that allows to display media or HTML content with an unique and original layout. 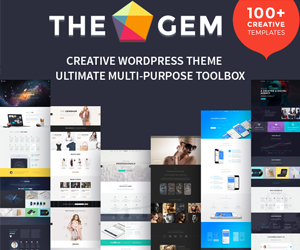 It’s perfect for presentations, for anyone who wants to obtain a great impact on their visitors. Two available display types : responsive / fixed and fluid width. 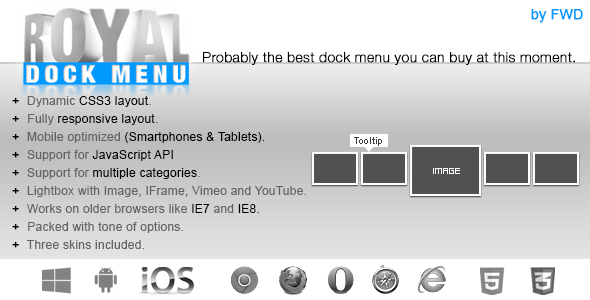 Packed with one of options allowing you to control the layout of your dockmenu in the way that pleases you the most. Easy 360° Product Viewer it’s a a rich-feature and unique tool with a fully responsive layout which allows to display a large number of images from different angles of a 2D or 3D product offering control over the layout in the way that pleases you most, allowing the user to rotate, pan or zoom the images. Additionally it has an awesome feature called deep zooming, when the image is zoomed it can be viewed in great detail by loading a more detailed version of the image this way allowing the usage of high resolution images without compression. 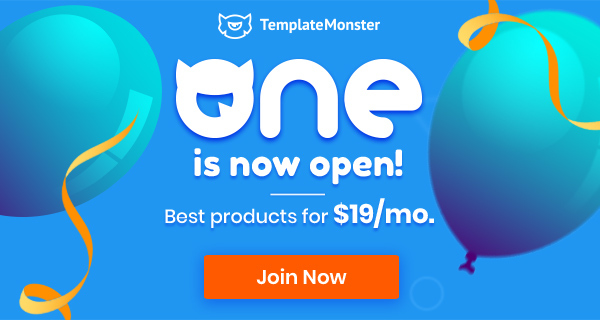 The Simple Multi-Item Slider is a great option for e-commerce sites, and for other sites looking to display items and products. 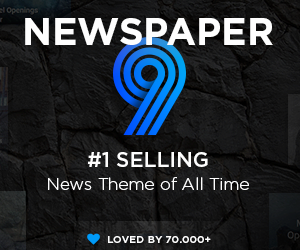 It uses some nice CSS animations as well as jQuery to create a very attractive item display. 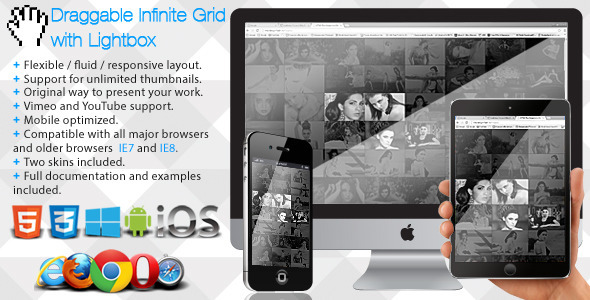 The Infinite Photo Grid with Lightbox has a fluid / flexible / responsive layout. Basically the grid is added into a HTML page into a div of your choice and it adapts based of that div’s width and height. In the examples provided you can see a few ways in which you might use this grid, of course that other configurations are possible (please note that the examples are provided in the download files). The Fullscreen Slit Slider from Codrops is a unique slider with some interesting transition effects. Instead of simply sliding, it slices open the slide as it transitions to the next slide. The HTML5 Flow Responsive Slider has a flexible / fluid / responsive layout, it will adapt it’s size (width and height) based on the parent container (div or some other html tag) and every piece of the gallery will align and position accordingly, this basically mean that it can be used in any kind of website, it dose not matter if you need a small or large gallery, all you have to do is to add the gallery in a place which you have chosen in your website and the gallery will adapt. 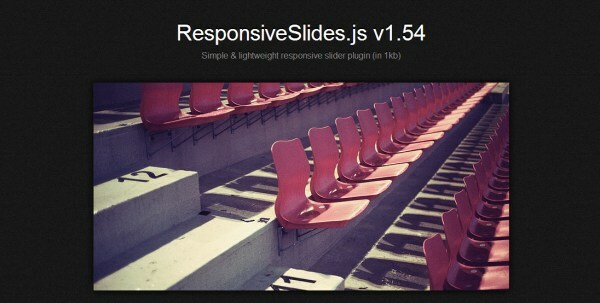 Responsiveslides.js is a simple and lightweight jQuery slider. 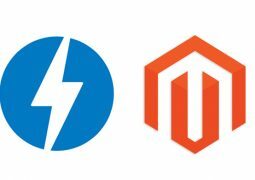 It creates a responsive slider using elements inside a container. The HTML5 Responsive Slider Gallery is size flexible or fluid, it will adapt it’s size (width and height) based on the parent container (div or some other html tag) and every piece of the gallery will align and position accordingly, this basically mean that it can be used in any kind of website, it dose not matter if you need a small or large gallery, all you have to do is to add the gallery in a place which you have chosen in your website and the gallery will adapt. Also if you like you can instantiate the gallery to fit the browser’s viewport regardless of the screen resolution. The HTML5 Random Gallery Slideshow is size flexible or fluid, it will adapt it’s size (width and height) based on the parent container (div or some other html tag) and every piece of the gallery will align and position accordingly, this basically mean that it can be used in any kind of website, it dose not matter if you need a small or large gallery, all you have to do is to add the gallery in a place which you have chosen in your website and the gallery will adapt. Also if you like you can instantiate the gallery to fit the browser’s viewport regardless of the screen resolution. 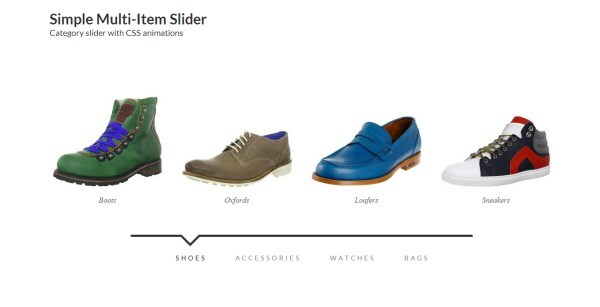 bxSlider is responsive and mobile-friendly. You can create sliders with horizontal, vertical, or fade transitions. Your slides can contain images, video, or HTML, and there are tons of configuration options. 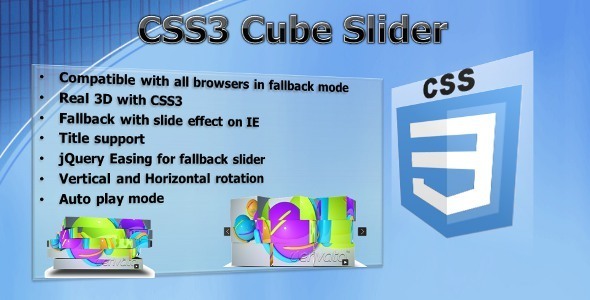 Cube Slider uses CSS3 transform property for creating 3d cubes elements and animating then in a cube slider. Using css3 images can be putted in a three dimensional space. 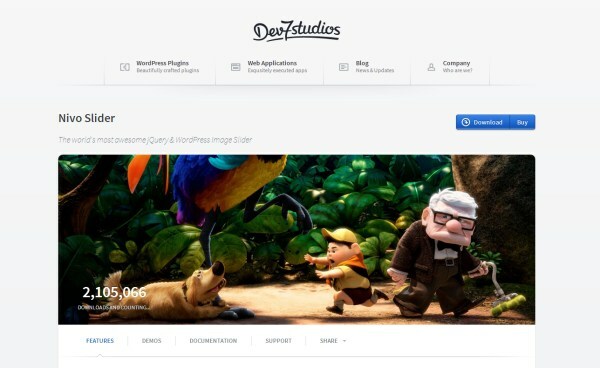 If the browser does not support css3 transform then the slider falls back in a standard jquery slider that uses jquery easing plugin for animation images. Due to CSS3 still to complete as standard this plugins in css3 mode is best on Chrome and Safari, meanwhile works well in firefox with some small screen bugs.